Hurricane, Utah — A new crew of Wooster Geologists traveled today to southwestern Utah to explore the marvelous Carmel Formation (Middle Jurassic). We are continuing the work of last year’s team and expanding into new areas. We are five people this time: Dr. Shelley Judge, Evan Shadbolt (’20), Anna Cooke (’20), Nick Wiesenberg (our ace departmental technician), and me. 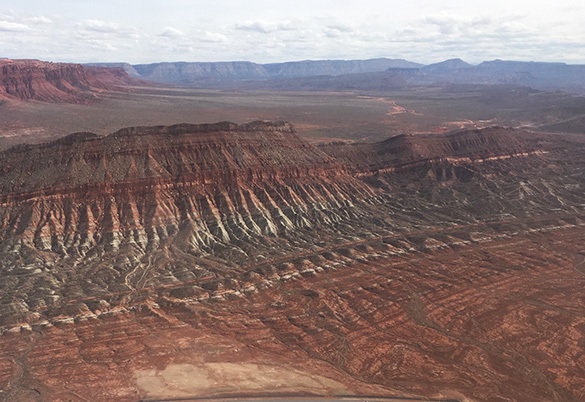 Three of us flew today from Salt Lake City to St. George, Utah, enjoying the spectacular geological scenery from the plane. 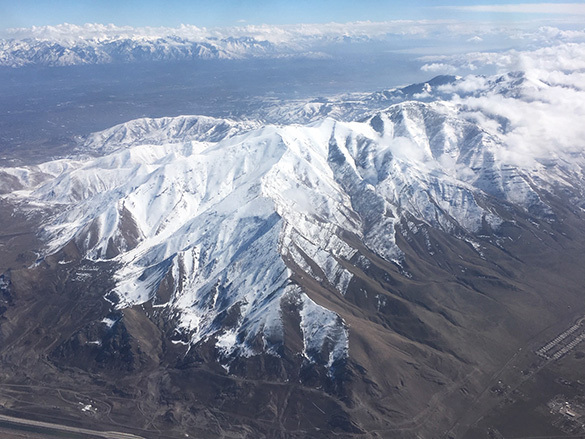 Above is a view of the Wasatch Range just south of Salt Lake City. Very snowy. Here is the view as we approach the St. George airport. It is the spectacular Hurricane Monocline of the Moenkopi Formation. No snow down here. 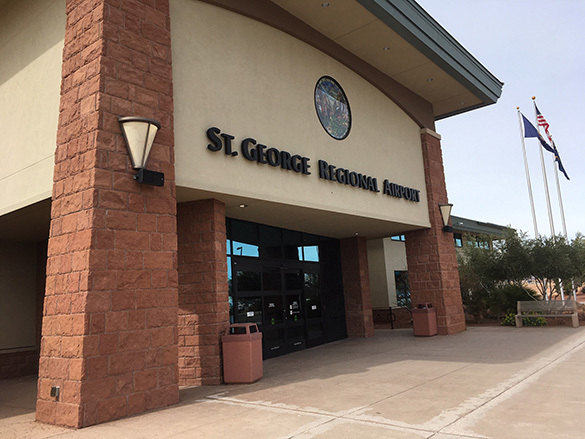 This was the first time any of us had used the new St. George Regional Airport. So, so much better than flying into chaotic Las Vegas and making the long drive to Utah.